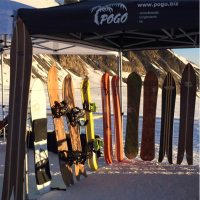 Would you like to test a particular Pogo Snowboard or Longboard? No Problem! * If you decide to purchase a new board we will deduct the rental fees up to 100€. **Friday afternoon to Monday morning. There are plenty of snowboards, split boards and powder surfers available. 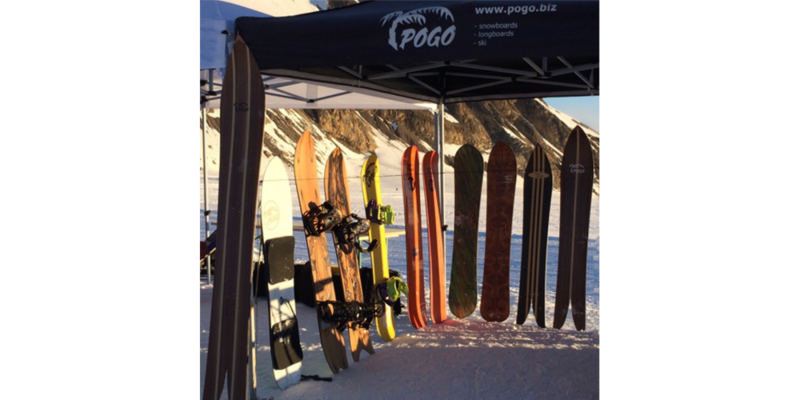 By appointment, you can pick up your test board directly from us at the Pogo Farm in Hößlinsülz or have a test board send to you. Feel free to give us a call: + 49 (0) 7130 4023310 or send us an email to info@pogo.biz. We charge the fees like above plus shipping costs (12.50€ within Europe). You have to take care and pay for the return shipment back to us or bring it back to the farm. You are always welcome to get a tour through our old barn and the manufactory. Transport and shipping times are not included in the calculation of the rental fees. (For example. : You need the board from Saturday the 10th to Saturday the 17th, these days are arrival and departure days, we will send you the board on Tuesday the 6th. Besides these options, you can always test some of the boards at Sport Jennewein in St Anton. Please call ahead to assure the board you´d like to test is available: +43(0)5446-2830. 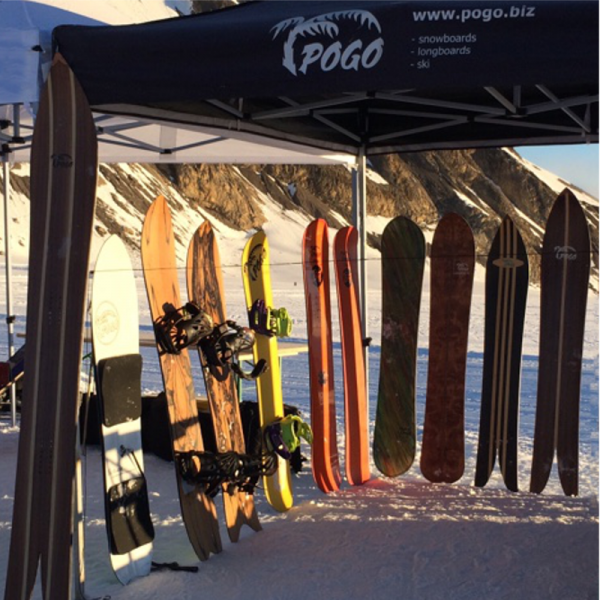 In the freeride Mecca of LaGrave, France, the Pogo Powder boards are available at Snowlegend. Here you can book as well an experienced guide or join a guided group: 0033(0)681970325, snowlegend@waw.com.